> World hunger: What are the next steps? > Collaborate in research – but how? The World Agroforestry Centre (ICRAF), based in Kenya, is the world’s most important research centre within the Consultative Group on International Agricultural Research (CGIAR)-system in the field of mitigating tropical deforestation, land depletion and rural poverty through improved agroforestry systems. Agroforestry is an ecologically-based natural resources management system that, through the integration of trees in farmland and rangeland, diversifies and sustains production for increased benefits for land users at all levels. A meeting with the Director General gave the opportunity to discuss ICRAF’s experiences and possible links to the Swiss Agency for Development and Cooperation (SDC). InfoResources : As ICRAF has analyzed alternatives to slash-and-burn for many years, we assume that a broad range of solutions has been tested. What can be said about the “best practices”? DG : “Best practices” are unique to the situation at the local level, where circumstances vary greatly, and the processes for land use change concretely happen. Understanding household decision-making is crucial in facilitating improved strategies and solutions that are location-specific and likely to be successful. Much depends on local champions. The key is identifying the “true local champions” that deserve support in fostering better land use at the forest margins. Good preparation, patience and realism have been aspects of the success stories we have noted. However, everyone is still looking for the most appropriate models. In my opinion, the Integrated Conservation and Development Project (ICDP) approach was not as problematic as it appears to be to some people. The problem was that it was too often implemented in ways that are not consistent with ICDP principles. The agencies’ internal processes were inconsistent with good ICDP practice, which has led to some unnecessary failures. In the Philippines, our work has provided some useful lessons. ICRAF worked in the vicinity of a national park in which slash-and-burn was out of control (about 300 annual incursions per year). We provided simultaneously a range of technical alternatives, worked with villagers on commercial tree enterprise incentives (timber, fruits), and facilitated a local institutional framework for park protection through a villagebased Landcare movement. Collaboration between the communities on the park boundaries, the park managers, and the municipal government completely turned the situation around. Park incursions were reduced over 95% in a few years. Taking an integrated approach, including technical, institutional, and policy innovation, was the fundamental element of the success. The village-based Landcare groups have now been able to help protect the park and limit slash-and-burn destruction in this valuable biodiversity reserve to insignificant levels. InfoResources : What can be the added-value for SDC to work with the CGIAR? How do you see the perspectives of a SDC-ICRAF collaboration? DG : Research is a crucial element in helping developing-country agriculture serve its role as a driver of economic growth and poverty alleviation. The CGCentres as a group work with their national partners to define key innovations that can enable the rural poor to achieve progress through a more productive agriculture. There is a huge set of possible science-based innovations in crops, livestock, and trees, that can support intensification and diversification. Agroforestry is one key entry point. Participative R&D activities and continuous capacity building efforts are essential, on the one hand to develop adapted and adaptive systems, and on the other hand to launch further dissemination of successful innovations. Research must be able to impact on millions of farmers’ fields. ICRAF is working on the scaling-up of scientific findings, and the returns on these investments are analyzed. The current emphasis in discussions between SDC and ICRAF is on Africa, especially the prospects for making a difference in the “hunger hotspots” where “Green Revolutions” are most urgently needed. A first step would be to build the partnerships to determine the most promising portfolios of options to enhance productivity and bolster natural resource management in the hotspots. ICRAF and SDC can work together in facilitating these processes. There are actually many positive developments currently occurring in Africa. If these can be reinforced and accelerated, the momentum toward improved livelihoods can begin to shift rapidly in many parts of rural Africa. World hunger: What are the next steps? chronic or acute malnutrition. The largest number of hungry people live in Asia. In the sub-Saharan region, their proportion within the total population exceeds 30%, and their absolute number is on the increase. These numbers have recently been published in a report by the Hunger Task Force of the UN Millennium Project. This Task Force was appointed in 2002 to identify viable ways to achieve the Millennium Development Goal of halving world hunger by 2015. The report contains an in-depth analysis of the current situation, followed by a list of numerous demands, particularly regarding policy, resources, production, and health. While the report hardly provides any new insights, it does offer a comprehensive overview of causal factors of poverty at the policy level: effective alleviation of hunger depends, among other things, on fair international trade, a healthy environment, and access to land, seed, knowledge, and credits for the poor. In stressing this, the report finally gives the necessary political priority to the issue of hunger, which was previously often left to be tackled by development agencies. Today, the UN and the WTO have moved it to the top of their agendas, and it has been given an important position also at the G8 Summit and at the World Trade Forum in Davos. Nevertheless, the report does not answer the question of how required additional measures can be financed in the short term. The world’s least developed countries in particular face increasingly difficult conditions on the international agricultural markets: prices for many traditional agricultural export products are sinking and, in the short term, subject to large fluctuations. The financially more interesting production of non-traditional or processed foods is hampered by these countries’ internal structural problems and high import tariffs in industrialised countries. Many developing countries are actually forced to import more and more foods. Finally, producers face a decreasing number of large buyers (large corporations, supermarkets). Small-scale farmers in particular have difficulties in meeting the demands of such buyers with regard to quantity, quality, and delivery deadlines. A study conducted by the FAO provides a wealth of data and various recommendations on this topic: The poorest developing countries need to be supported in adapting their export production to new demands, as well as improving production for their domestic markets. Furthermore, the authors recommend protection systems against unexpected losses in production or prices, improvement of collaboration among small-scale producers, and promotion campaigns to support demand for tropical products. Finally, industrialised countries need to open their markets to agricultural products. Source: The State of Agricultural Commodity Markets 2004. Collaborate in research – but how? The objective of North-South research partnerships is not only to produce new insights, but also to promote exchange and mutual learning and to enhance capacities both in the South and in the North. Increased visibility and attractiveness of research in the South, better access to information and new fields of research, and the chance of overcoming scientific isolation are some of the positive aspects of research partnerships. However, there are also drawbacks, such as the North regarding the South as a laboratory, and the dominance of partners from the North due to a financial and scientific power difference. An effective research partnership begins with joint planning and involves reflecting from the very beginning on how methods are developed, who takes on what role and position, and finally, who benefits in what way from the partnership. This publication describes ten factors that have a positive influence on research partnerships, such as mutual learning platforms, and identifies six factors that hamper an effective implementation. Guiding questions for planning, clear recommendations for donors as well as researchers, and case studies round off this clearly structured and implementation-oriented publication. French version to be published soon. Forest management strategies should take account of social factors in order to resolve conflicts which arise when tropical subsistence forests are turned into a source of revenue. This publication presents several social participation instruments developed in the framework of the programme “Local Population, Decentralisation and Adaptive Collaborative Management (ACM) of the Forests”. It explains why it is essential that existing forest management strategies are revised and how this could be achieved by involving various population groups, especially women, living in the forest zone. One of eight promising approaches for forest managers is the multi-actor process applied in Bolivia. Members of the community groups (elderly men, women, and young people) are asked how they imagine their forests being optimally managed in five years time, and what changes and adjustments they feel are needed to make this a reality. Yet, the book also highlights the difficulties of ensuring the equitable distribution of profits, as well as problems associated with deeply entrenched notions of power and non-power, and the cultural interpretation of relations which are specific to the various actors concerned. 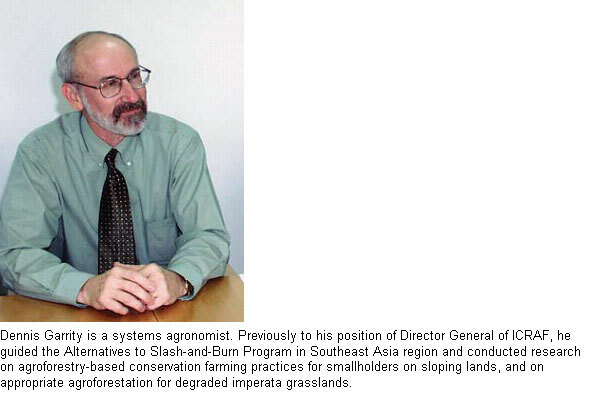 Source: The equitable forest: diversity, community and resource management. Ed. Carol J. Pierce Colfer. RFF Press, 2004. The term co-management (CM) describes a partnership of two or more relevant social actors, in which partners collectively negotiate, agree upon, guarantee and implement a fair distribution among themselves of management functions, benefits, and responsibilities for a particular territory, area, or set of natural resources. implementation and regular evaluation of that agreement. The uniqueness of each local social, ecological and institutional situation leads to a wide range of different forms of CM. This book contains detailed conceptual explanations and many useful guidelines. Numerous examples from around the world give evidence of years of experience. Reading takes time, as the book does not provide any quick superficial instructions for action. A bio-economic calculation model has shown that investments in sustainable management of a wetland area in Bangladesh not only increase its productivity, but also prevent resource degradation. The calculated profit of the project turned out to be 7.5 times higher than the presupposed investments. This example evidences a growing awareness of the value of ecosystems. However, it also shows that only sustainable use of ecosystems makes it possible to maintain long-term services to humans under economically profitable conditions. The economic valuation of ecosystems and their performance can serve as an important tool in planning and decision-making processes. Valuation provides information on loss or profit caused by interventions, but also makes it possible to evaluate adequate conservation measures. This publication is directed at professionals on both the implementation and the decisionmaking level. It gives an overview on various valuation techniques and on how valuation results can be integrated into decision-making processes. While the study does deal with the limitations of economic valuation, it somewhat lacks critical reflection on the increasing economisation in general. 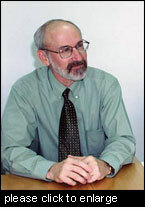 E. Bos. IUCN. Gland, Switzerland and Cambridge, UK. 2004. 88 p.
French and Spanish versions to be published soon. In Latin America, the major challenge in terms of climate change is translating international decisions into internal public policies. Local governments, which are theoretically closest to the citizens, are in fact remote and out of step with international negotiations. Launched during the 10th UN Conference on Climate Change (COP 10) in Buenos Aires last December, this guide, accompanied by a very helpful glossary, is aimed primarily at Latin America and the Caribbean. The observations and proposals contained in this work are firmly rooted in the realities of these regions, while paying reference to measures undertaken by other countries. Following the chapter on the role of local governments, 10 Latin American specialists advocate one of many options (in relation to energy, transport, use of land and forests etc.) which local politicians could take to mitigate climate change. Although brief, these articles offer the reader a valuable insight thanks to the diversity, multidisciplinary nature and feasibility of the proposals contained therein. Source: Cambio climático y desarrollo limpio: oportunidades para gobiernos locales. International Council for Local Environmental Initiatives (ICLEI) – Local Governments for Sustainability. 2004. 110 p.
What chances do households have of recovering from natural disasters? Natural disasters such as the famine in Ethiopia (1999 – 2000) and hurricane Mitch in Honduras (1998) have long-term economic consequences for the concerned households and their resources. In disasters, households lose part of their assets, such as land and animals, and their income is diminished due to factors such as crop failure. The degree to which households are able to recover economically from such a shock depends on their wealth prior to the disaster; however, it is also influenced by the possibilities they have of finding work and money on the market and through social networks. This long-term economic study in Ethiopia and Honduras has used regression models to show that coping strategies differ from area to area and depend on the resilience of households. In both cases, however, poor households are particularly sensitive to being caught in a poverty trap. In conclusion the authors recommend enhancing social networks, promoting non-agricultural income and rural markets, as well as developing infrastructure in order to increase household security. Source: Shocks, Sensitivity and Resilience: Tracking the Economic Impacts of Environmental Disaster on Assets in Ethiopia and Honduras. Various developing countries conduct research on genetically modified crops. A new study has examined 62 institutions implementing a total of 201 projects on 43 different plants. More than half of these projects aim to enhance resistance against viruses and insects. Research on genetically modified plants in developing countries is predominantly carried out by public institutions and using local and publicly accessible genetic resources. Farmers might more easily accept this kind of seed, and, moreover, they could reproduce it on their own due to the absence of patents. The move from the laboratory to practical application is hampered by various obstacles. In particular, there is a lack of know-how and resources with regard to meeting security requirements. The study does not raise the basic question of whether the use of genetically modified plants makes sense. A speech by the Zambian Minister of Agriculture shows that governments of developing countries do have reservations in this respect. More than a third of the producers in three different agroecological regions of Burkina Faso combine subsistence farming with food sales and trade. This has been established in a joint research project conducted by the University of Ouagadougou and the Swiss College of Agriculture, which studied the sales of agricultural food products and the market behaviour of farmers. Among other things, an analysis of the value-added chain revealed that imported husked rice is almost as cheap as local cereal flour. The study also showed that food production generates three times more income than cotton production. Consequently, the authors’ recommendations for agricultural policy in Burkina Faso with a view to increasing agricultural production and farmers’ income, include the establishment of a national agricultural system for investment credits. 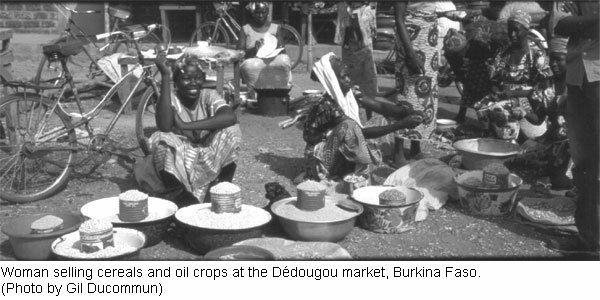 A key demand is that along with export production, Burkina Faso develop its domestic agricultural and agroindustrial market – using modest market protection against subsidised imports if needed – and thereby place its agricultural economy on two equally strong legs. Source: Commercialisation vivrière paysanne, marchés urbains et options politique au Burkina Faso. Rapport final de synthèse. Gil Ducommun, Hugo Cecchini, Sylvestre Ouedraogo et Abdoulaye Bengaly. HESA / CEDRES. 2005. 104 p.